The backlog of blog posts are all written and posted, and my work here is done. Yes, I'm going to take another blog-break until mid-November, during which time I'll sit down, get my thoughts together and try to come up with the 2011-50 as well as some other end of year stuff. ...yes it's that time again to start reading the Swedish tabloids and guessing how many of the rumours are true. I froze in terror at the news of Charlotte Perrelli returning with a Fredrik Kempe song - no offence Charlotte or Fredrik, but isn't it about time someone else was given a chance?? Danny Saucedo will also be back as a solo artist, but his E.M.D. bandmates Mattias Andréasson and Erik Segerstedt have also submitted their own songs in different musical styles. I'm quite surprised about this as I'd hoped/expected E.M.D. to return to MF next year. Molly Sandén will also return, hoping to follow in the footsteps of her boyfriend Eric Saade and be chosen as Sweden's representative. I wonder if she'll get a big ballad or an uptempo song? There is also someone called Thorsten Flinck, allegedly with a G:son song?! This could either go straight to the final or totally bomb. Finally where would Melodifestivalen be without a dansband? This time it's Top Cats, although I thought Elisa's might have been a more obvious choice? Of course it's all a mix of rumours and leaks at this stage so anything is possible! As usual the most interesting entrants at MF can be the ones you didn't really expect anything from - like Loreen or Swingfly from this year's contest for example. Regular readers of this blog will be aware of how much I loved "Sounds of Europe" which was a weekly radio show on student radio station GU2. The show, presented by superstar DJs and blogging legends Rachel and Keira, ran from 2008 until 2010 and was essential listening every week. The show introduced me to a lot of European singers and songs which I hadn't heard before. Yesterday Rachel introduced me to "Verves of Europe" a weekly radio show hosted by James and Fey who are students at London Metropolitan University. I had a listen last night and was hooked. This show resurrects the spirit of "Sounds of Europe" and if you loved that show, you will love this too. 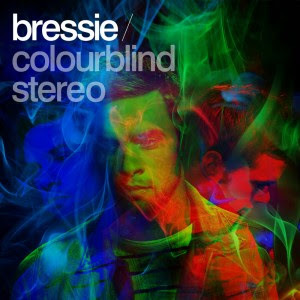 I previously blogged about London-based Irish singer Bressie (Niall Breslin) back in September, http://europecrazy.blogspot.com/2011/09/introducingbressie.html and decided to buy his just-released debut CD "Colourblind Stereo" during our recent trip to Dublin. Bressie was previously the frontman of a very popular Irish rock band The Blizzards, however he is now getting in touch with his pop side on a very good debut. The album kicks off with "Can't Stay Young (Forever)" which was his debut single as a solo artist. The radio-friendly "Breaking My Fall" (not sure if this is going to be a future single) and "She Ticks All The Boxes" keep the momentum going. Fans of The Script may enjoy Bressie's mix of big anthemic pop-rock songs, although Bressie avoids that over-wrought trap which The Script fall into at times. The mood is consistently upbeat and positive. I particularly want to highlight "Android Heart" as one of the album's highlights - the robot metaphor lyrics may be a bit too cheesy, but it's a very pretty song. Bressie is a clever lyricist, although some of his lyrics can be a little on the cheesy/corny side at times. Nevertheless he knows how to craft a good pop song. "Good Intentions" was of course the song which brought Bressie to my attention, and it's the one which still stands out on this album. It's the kind of song which would sound great on British radio, if they removed the endless urban rubbish and "the new boring" and go back to a time of good quality pop music which didn't need to resort to lyrics about being on the floor, in the club, 'featuring' all the usual suspects. This album is refreshingly free of any of that. Amongst the pop-rock there are some electronic touches, and "Wall of Sound" particularly evokes some old-school dance memories. It just proves Bressie's talent and versatility that he can turn his hand to different musical styles. He has co-written all of the songs on this album and his compositions may soon be turning up on other artists' albums too, as he's currently part of the 19 Entertainment stable and is involved in songwriting and production there. Bressie cites Dr Luke and Max Martin amongst his production heroes so there's no doubt that there's a very strong pop heart beating inside this rock star. To date, "Colourblind Stereo" has only been released in Ireland however I wouldn't bet against an international release at some point - especially when the tide eventually turns away from the dross which has passed for "pop music" over the past couple of years. Hopefully we will hear a lot more from this very talented guy in future. If the rumours are to be believed, this could be the last series of "HARRY HILL'S TV BURP" (ITV1, Saturday). I suppose all good things should really come to an end, so maybe it would be the right time. So far, this series isn't really vintage Burp, but it's not a disaster either - maybe somewhere in the middle, on automatic pilot. One of Harry's recent targets was "SHOWBOATERS" (Sky 1, Sundays) which was a must-see for me as over the past year I've developed an obsession with going on a cruise. Basically this is X Factor at sea, with a group of hopefuls are all fighting for one place in the Thomson Dream's show team. They missed a trick though, as the eliminations should have befitted the theme, i.e. man overboard/walk the plank :) Anyway it's pretty unmissable, if only for the reason that none of them were particularly good...the series is nearing its end so hopefully they'll make the right choice. 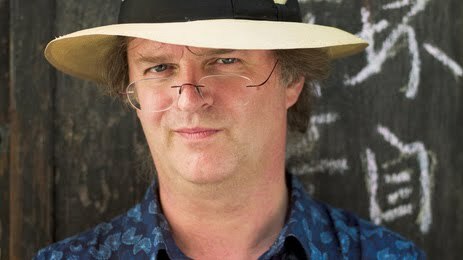 Whilst on the subject of cruises, I enjoyed the first part of "PAUL MERTON'S ADVENTURES" (Channel 5, Wednesdays) which saw him take to the Caribbean on the Allure of the Seas. It was a pleasant travelogue and pretty favourable about the ship itself. I'm looking forward to his forthcoming adventures. I would never have called myself a Steps fan, although will admit to particularly liking a couple of their songs ("You'll Be Sorry" and "Deeper Shade Of Blue" to be specific). Anyway, body language/psychology experts would have had a field day if they watched "STEPS REUNION" (Sky Living, Wednesdays) an addictive fly on the wall documentary series,where the five members of the band were reunited, with varying degrees of enthusiasm. The tension was cranked up as the five members of the group confronted the issues which led to their split. Acrimonious didn't even begin to describe it. As we all know, H and Claire famously quit the group on the last night of their tour and the band announced their split on Boxing Day 10 years ago. Now they're back together, their new greatest hits compilation went straight to no.1 and their reunion tour is selling out. Although on the evidence of this TV show I wouldn't be too confident buying a ticket, as it couldn't be more obvious that Claire Richards doesn't want to be there. Or is this maybe fodder for a follow-up series - Steps Split II? A few months ago I wrote about STV's decision to axe "THE HOUR" from its daily teatime slot. In September, the show relaunched in its new 8.00 pm Tuesday slot - which was a disastrous scheduling decision to begin with, since it clashed with the long-running Scottish soap River City on BBC1. Then they teamed up existing presenter Michelle McManus with sharp-witted radio presenter/journalist Tam Cowan, and the format completely changed from the easy-going teatime magazine with a lot of different features, to a bog standard low-budget chat show. 4 weeks into its run, STV axed the show for good. STV have no-one but themselves to blame. It wasn't perfect, but if the format had remained the same, and broadcast in a different slot, the show might have survived, instead of being consigned to the telly dustbin of history. Ironically, STV's other Tuesday night programme has been must-see TV over recent weeks. "SCOTLAND'S GREATEST ALBUM" has featured a different decade each week, starting with the 70s, and the basic premise of the show is for the viewers to choose three tracks each week from the list of 12 pur forward by a panel of experts. It's been a pretty enjoyable and surprisingly credible journey so far. Russell was expected to be this year's John Sergeant/Anne Widdecombe, but the ultimate car-crash this year is Nancy Dell'Olio, whose fame is solely based on dating that Sven bloke. I never thought I'd ever say this, but poor Anton. Although I'm enjoying the show as usual, I'm getting a bit concerned about the number of 'theme weeks' being introduced, with all the accompanying silly props and costumes. As a result it feels like the show is moving away from the basic dances towards show-dances, and that's not a good thing. Finding music on TV is so rare these days (apart from the dull and repetitive music channels) and finding intelligent discussion about it is even more rare. So three cheers for "THE JO WHILEY MUSIC SHOW" (Sky Arts). I enjoyed the first one, maybe a bit too much chat about Nirvana though. Anyway, thanks to this show, my mum has now become a Maverick Sabre fan! On the second day of our holiday, poor faithful travelling companion was floored by a very nasty stomach bug which made him very ill, he couldn't eat or drink but thankfully was well enough to get out and do some exploring. On the way back down we came across an amusing art installation which invited the public to write what they're afraid of. "I'm afraid of Jedward" particularly raised a chuckle! If you go to Dublin you'll inevitably find your way back to Temple Bar. Here is a picture of one of its mega-pubs, the Oliver St John Gogarty. However we didn't have a drink in there this time, so that's on the to-do list for next time, as is Gallagher's Boxty House! Last time we were in Dublin, we had coffee at Insomnia Coffee, which is like an Irish version of Costas/Caffe Nero, but one definite 'must-do' for this holiday was a trip to Bewley's Oriental Cafe on Grafton Street. It's big, but there's lots of different rooms/areas and we managed to get a seat and enjoy a cappuccino. Tonight was the last night of our holiday, we decided to keep it very low-key. It was also a very cold night, yet that didn't deter some very hardy people from alfresco dining in Temple Bar. Despite my poor man getting sick, we did have an enjoyable time and the hotel was fab. We resolve to return to Dublin next summer, all things being well, when the nights are lighter and the weather is warmer, and hopefully in happier and healthier times. We are only 7 days away from the launch of the 2nd series of one of the most exciting reality TV formats ever! Lots of good intentions to get up very early failed to materialise. (Oh, and talking of 'good intentions': my plan for today was to hit the record shops in search of the Bressie CD. More about that later). Until this morning I hadn't tried the much-hyped soda bread. My verdict: disappointingly stodgy, and my view is prejudiced due to the fact that I'm no fan of brown bread. Disappointment aside, we have some exploring to do and head out past the very busy Trinity College area. Nope, still haven't seen the Book of Kells and won't be doing it this time either. Maybe some day when we decide to do all the tourist haunts. Ditto the Guinness Storehouse. Anyway you won't be surprised to hear that the main thing on my agenda was shopping! And there are lots, and lots, and lots of shops and shopping malls in the Irish capital, with something for everyone. Anyway, whilst Carrolls perpetuates the Irish myth of leprechauns, fiddly music, sheep and Guinness, modern-day Dublin is a different place altogether. The service industries seem almost exclusively staffed by young Eastern European males and females and so far we've hardly heard an Irish voice! The mix of tourists and migrant workers makes for a very cosmopolitan city which is refreshingly different enough from the UK, even though we're only an hour's flight away. The same goes for the radio stations which I tuned into - sure there's the top 40 fodder but there is also a refreshing variety of music, including lots of rock music which you never seem to hear on mainstream British radio. There's a good selection of eating options on and around South William Street, so we have lunch there. After lunch we head back down Grafton Street and inevitably end up at HMV, where I finally purchase Bressie's "Colourblind Stereo" CD. I also buy "Domino Effect", a CD by The Blizzards which is the band he was previously in. Yes, I'm suffering from Bressiemania. I notice that dreary acoustic guy Ed Sheeran will be making an appearance at the store the next day, but I decide to pass on that one. Eventually we return to St Stephen's Green, where we watch the ducks, and the seagulls pretending to be ducks, and hilariously go in search of a non-existent waterfall. It's a lovely park though and a great place to escape from the city buzz. St Stephen's Green also boasts a big, fab shopping mall called the St Stephen's Green Centre. Courtesy of Aftonbladet, here's what the contestants will be singing this week...you'll have guessed that the theme is Swedish-language hits. I'm still not too excited by this year's line-up of contestants, but it's early days and that might change. Or maybe not. They are all extremely young - especially this year's favourite Molly Pettersson Hammar, who is only 15 years old!! When did this become Junior Idol??? Lots of thoughts going round in my head today which I thought I'd pull together into some kind of blog post. Been thinking about my annual top 50 rundown (the 2011-50), which is due to start in precisely five weeks' time. Usually at this time of year I would be filled with excitement at having to narrow about 100 songs down to a shortlist of 50. This year, however, things are very different indeed. The main reason being that I haven't listened to as much new music as usual, having spent the year rediscovering a lot of old, forgotten favourites, and feeling a general sense of disappointment at the new music which has been on offer. At the moment I'm sitting with approximately 38 songs so will need to find another 12 in the coming weeks; it also has to be said that if some of the contenders had been around 3 or 4 years ago they'd have struggled to get anywhere near my top 50. It's nothing to do with getting older, but I've never felt so disillusioned/disenfranchised with the music scene as I am now. I'm tired of radio and TV stations force-feeding us the same style of music, the same 'artists' day in, day out. And it's not just a British problem either - go to any European singles chart, for example, and you'll see the same names time and time again, the international superstars who dominate the airwaves leaving no opportunities for decent new local artists to break through, with the only outlets being the now very stale format of talent shows. The problem with force-feeding is that eventually you will surrender and that's what's happened, worldwide. But I'm not waving the white flag just yet. Having suffered through the 'urban' music explosion of the past couple of years, this has now mutated into a repetitive parade of songs about being in the club/on the floor/put your drinks in the air/party all day/party all night (delete as appropriate) mainly orchestrated by the three-headed monster that is Pitbull, David Guetta and Flo Rida. I'm particularly disappointed by David Guetta's lowest-common-denominator output at present, as I used to be a fan of his music, but now he's right up there with Rihanna in the ubiquity stakes. I have always loved dance music, but this current variation has nothing new to offer, and will be forgotten in a few years' time when the DJs are still playing 'old school' and 'rave classics'. Admittedly, there was that 'wow' moment during the Brits, when Adele's performance came as a welcome contrast to all the urban nonsense which dominated that ceremony. Here was a "proper singer" who didn't need to cavort around with minimal clothing and maximum dance routines. However, all these months down the line and we are still under assault from "Someone Like You" at every turn. A song which, to quote its own lyrics, turned up out of the blue uninvited and couldn't stay away. It has taken over from "Chasing Cars", (which I previously declared on this blog in 2007 to be the national anthem of Dreary-Pop) soundtracking every mournful, tearful moment on every reality show. Adele's massive worldwide success could initially be viewed as a reaction to all those empty international pop superstars - yet ironically she has now become part of the problem rather than the solution. Her music has been promoted as aggressively as, say, Rihanna or Katy Perry, but is tapping into the "adult" music market, "music for couples" as I used to call it - the kind of people who don't really like music but buy those stupid 'acoustic'/'feelgood' compilations. Which presumably include the likes of Ed Sheeran a.k.a. the new James Blunt with added collaboration-credibility bells on. Most of the current crop of tedious artists are only popular because we have been force-fed them. It's time for a change! Scandipop comes to British TV! One of my favourite blogs is Scandipop. Now the blog is about to become a TV show from tomorrow. I never thought I'd see the day when we'd ever see a Linda Bengtzing video on British TV, but one of the videos this week will be none other than her duet with Velvet - ‘Victorious’! Three years on from a chilly November weekend, we returned to the Irish capital for a brief late summer break. It may be a long way from the boiling temperatures of Turkey, but it didn't matter as we were just lucky and thankful to be there at all. Weather? Well, the previous week, Ireland and Scotland had been hit by the tail end of a hurricane, and judging by the high winds on our arrival it was taking its time to blow itself out! One of the best things about a short break in Dublin is that it's a short flight - it takes longer to get to the airport than it does to fly over - and you only need hand luggage, thus avoiding the inconvenience of checking in baggage and all the rip-off of the extra charges involved. After checking into our hotel, it wasn't long before we headed out into a dry (but still very windy) Monday evening from our base in Dublin 2. If you haven't been to Dublin before, I'd recommend that you are based south of the river, which is within walking distance of all the nightlife, restaurants and shops. Of course there's plenty of these north of the river, where accommodation may also come cheaper, but let's just say it's a bit more "gritty" up there. South of the river, the main nightlife is centred around the Temple Bar area which is packed with pubs and restaurants from beginning to end. At the weekends this is stag party city and is absolutely jumping....but what's it like on a Monday night? Empty? Deserted? No way! Even on a Monday night in September, it's jumping. And there was a particular buzz in the city that Monday night, after the city's Gaelic football team 'The Dubs' won the national cup final at the weekend. Thousands of fans gathered in Merrion Square to salute their heroes, and we spotted a few of these jubilant fans on the way. Above: one of the city's most photographed pubs, Temple Bar's very own....Temple Bar. Ireland has been particularly hammered in the current financial recession, and the restaurants in Dublin have had to offer meal deals to get the customers in. 'Early Bird' menus (pre-theatre as we know them) are now commonplace in what is still a massively expensive city. However, there are limited choices on most of these menus so if you're a chicken-eating almost-veggie like myself you end up resorting to the a la carte. But when meals are as good as this one, the money doesn't matter. One of the best restaurants in Temple Bar is the Quays Restaurant, upstairs from the bustling Quays Bar, and serving some good quality fare to an appreciative clientele of mostly tourists. We were certainly appreciative of our meal and left with our stomachs filled to capacity! But Dublin being Dublin, you have to try out some of its legendary bars. We managed to fit in a couple before bedtime - one of these being the famous Arlington Hotel near O'Connell Bridge, which puts on a nightly show of Irish music and dancing. The best seats are saved for those who have paid for dinner, but you can still see and hear the show from a more restricted view even if you've just popped in for a Guinness (faithful travelling companion) or a Bulmers Irish cider (me). By the way, why is it Bulmers Irish Cider in Ireland yet it's Magners over here? Just wondered. Anyway we took in some Irish folk music and a bit of Riverdance/Lord of the Dance. Yes it's a tourist trap but so what? It's Dublin after all, soak it up. Talking of soaking, the rain had come on by this time so we headed to another bar before ending our first day in Dublin. It's good to be back. In the "old days" when I had much more time to blog than I do now (although I really don't know why I don't have as much time anymore!) I wouldn't have taken my eye off the ball when it came to celebrating the 50th birthday of my most favourite French female singer of all time. But unfortunately that's what happened this year and I've only recently remembered that she reached this big birthday milestone on 12th September. So a belated happy birthday Mylène! However, as I was searching the web for Mylène-related stuff last week I came across the first-ever book to be published in English about the notoriously reclusive superstar. Needless to say I bought it! I have only just started reading the book so can't really call this a proper review, but I wanted to tell you all about it in case you didn't know about the book's existence. 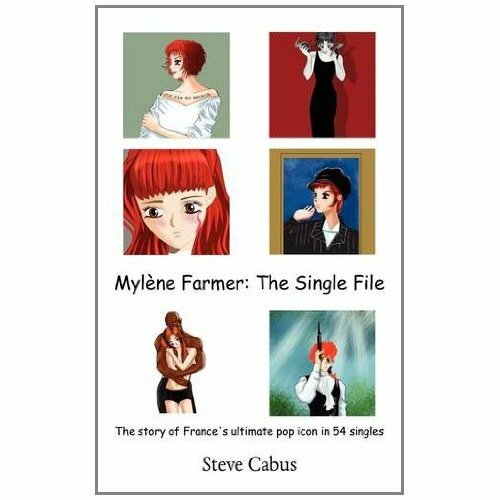 "Mylène Farmer: The Single File" by Steve Cabus avoids the traditional biography format and instead takes an intensive look at the singer's career from the beginning in 1984 right up to the present day, single by single. Steve Cabus is a native French speaker but in his introduction he tells us that he has been speaking English exclusively for the past 23 years. Therefore he is perfectly qualified to convey all the aspects of what it's like to be a Mylène fan in the English-speaking world. Don't expect a big professional presentation - there are no pictures of Mylène, for example, just front and back cover art illustrations, and the title font in good old Comic Sans MS. But the old saying goes "don't judge a book by its cover" as it's what's inside which really counts. The author is without doubt a superfan who is very knowledgeable about his subject. He spends a lot of time in each chapter listing the various formats/remixes etc available for each single, and vividly describes the making of each video and what it's about. Of course if you're a Mylène fan you will know that her music and videos are loaded with controversy, dark themes and "after-the-watershed" content - this is an excellent reference book about each song/video and will definitely be a "go-to" book whenever I'm listening to a Mylène song or watching one of her videos. Also if you Google the book's title and author you should be able to find other online bookstores which stock this book in your country. In keeping with the Irish theme which has dominated recent weeks, I thought it would be very fitting to feature the ultimate Irish music/dance phenomenon which was premiered at the Eurovision Song Contest in Dublin 17 years ago. Music by Bill Whelan, and fantastic dancing by Jean Butler and Michael Flatley.